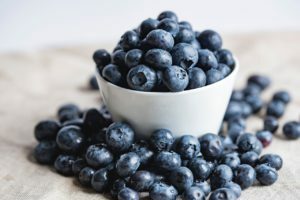 What is the best Bilberry supplement? Is it great for stress relief? How can it help you? Nowadays chronic stress is like a disease that everybody experience from time to time. We all need to think about ways to let go, to release, to reduce stress because only then we can be happy and healthy. I think I don’t need to say that chronic stress destroys everything in their way: health, relationships, our happiness, and well-being. If we are healthy, eat healthily and think about healthy lifestyle each day, we are more able to deal with stress much better than when we don’t. Sometimes it is important to take vitamin, mineral or herbal supplements to improve our health and feel better. Today we will talk about some special remedy that is usually used for eye health. What Is The Best Bilberry Supplement? It is a great question, but the answer isn’t a simple one, because each person would say a different thing about. We all are different with different opinions, needs, and preferences. Even our bodies can act differently to the same supplement so what is great for one, doesn’t necessarily help the other one. It may seem a little bit strange, but it is how it is. I can only show you different Bilberry supplements from bestseller list and tell you about the ingredients and other things that they contain. Only you can choose for sure which supplement is best for you. Remember that you always need to consult your doctor before taking any kind of supplement. Bilberry (Vaccinium myrtillus) is almost the same as blueberry, but almost unknown. They are grown in the Rocky Mountains, regions of Asia and Europe. They are great in supplement form because these berries don’t last long after being picked from their shrubs. Bilberry can be in different forms such as softgels, tablets, pills, oils, liquids, dried leaf teas, and tinctures. Bilberries have been long used in European cuisines (frozen drinks, jams, juices, and pies), and for health. 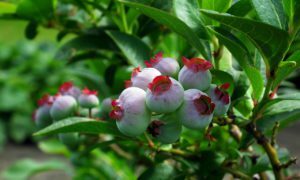 They are rich in natural bioflavonoids (anthocyanins). Everything that can improve your health is great for stress management because if you are healthy, you are more able to deal with stress. However, there are some studies that specifically showed that Bilberry is great for stress relief. According to one study with mice, Bilberries extract may reduce stress-induced damage in the liver. Bilberry extracts could be a potential supplement for people that lead a stressful lifestyle if these results can be repeated in humans. Here you can find three reviews of popular Bilberry supplements. Description: This is a supplement that contains 1200 mg Bilberries extract and is delivered in convenient, quick-release capsules. The supplement is made from Bilberry fruit extract powder and it’s full of anthocyanins. It supports overall eye health and peak vision performance. Description: This Bilberry supplement is professionally manufactured in a cGMP registered facility in the USA and also thoroughly tested. It is formulated without unnecessary filler ingredients and any chemical preservatives. Bilberry is combined with anthocyanins and supports healthy memory, cognition, and vision. Description: This supplement contains Bilberry fruit extract, Lutein, and Zeaxanthin. It has proven superior absorption. One customer didn’t see any difference while taking this supplement. Bilberries are great for your health and well-being. There are even some studies about how effective Bilberries can be in reducing stress-induced damage in the liver. These berries and supplement may help you feel better after a stressful day at the job and improve your health. What is the best Bilberry supplement for you? Did you use Bilberry supplement before? 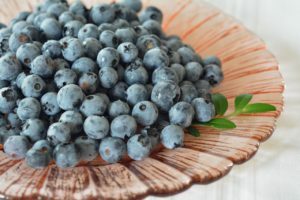 What do you think about Bilberries and their supplements? Let me know below! Are you looking for the best Bilberry supplement? CLICK HERE for more information.